Anantara Mauritius Resort is being developed in partnership with Currimjee Jeewanjee & Co, a local entrepreneurial family-owned business operating in a number of sectors, including telecoms, cable TV, food and beverages, commercial services and hospitality. The look and feel of the new resort have been created by award winning Ground Kent Architects, Australia, in collaboration with the Office of Global Architecture in Mauritius, alongside Abacus Design, interior designers of Thailand. The design reflects the melting pot history of the country, drawing influences from the rich architectural heritage seen in the capital Port Louis and around the island. Natural, locally-sourced materials take precedence, harmoniously anchoring the buildings in their natural setting. Taking inspiration from local colonial architecture, the overall effect effortlessly evokes the vibe of a relaxing, tropical beach house, yet one with a distinctly modern feel. 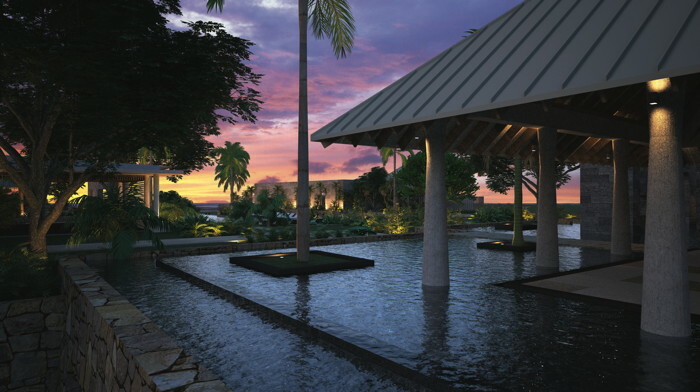 As part of Anantara and Currimjee’s commitment to sustainability, the resort will incorporate solar technology for water heating in all guest rooms, to reduce the usage on energy. Other green initiatives include planting endemic flora within the hotel landscaping, reusing water for irrigation and cleaning as well as incorporating recycled materials into resort décor. The property will be plastic straw-free, an Anantara standard, and where possible organic farming methods will be encouraged throughout its restaurant supply chain. An island nation in the south western Indian Ocean, Mauritius is known for its varied flora and fauna, with many species endemic to the island. Famously the only known home of the dodo, an avian species which became extinct back in the 1600s, the island offers nature-centred activities both onshore and offshore. Visitors can charter a boat for deep sea fishing, paddle over serene waters in a glass-bottomed kayak to learn to dive, embark on bird-watching walks on nearby islands, explore botanical gardens and more. In the southern part of the island, guests at Anantara will be able to discover historical sites, spectacular scenery and adventure activities. Just 15 minutes’ drive from the resort is Mahebourg, the first capital of Mauritius, known for its local market, museums, fortifications and the historic battles between the French and British. A little further away is Black River Gorges National Park, famous for its waterfalls, vistas and hiking, and for the more adventurous, quad biking and zip lining.